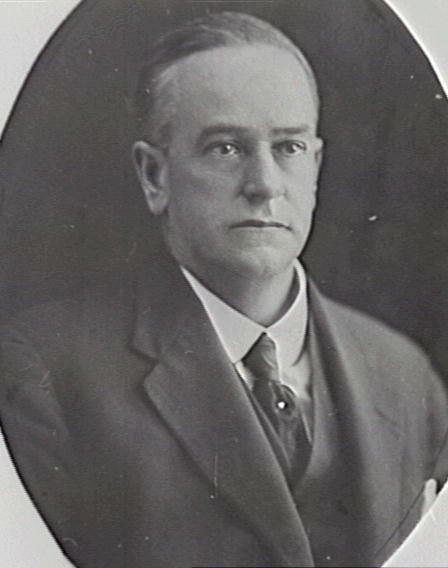 William Percy McElhone was born in Sydney on 22 December 1871, the fourth son of Alderman John McElhone (1833-98) and his wife Mary Jane (d.1894), née Browne. In 1906 at Randwick, he married Donalda MacInnes. He died on 21 April 1932, survived by his wife. William McElhone was educated at St Aloysius College, Sydney, and served his legal apprenticeship under HS Williams, for many years a Solicitor to the Water Board. He was admitted to practise as a Solicitor on 20 August 1898. He was joined as a partner by the late Mr John Meillon and later by Mr A Barnes and his nephew F E McElhone. He was a senior partner in the legal firm of Messrs. WP McElhone and Company. He represented Australia at the Olympic Conference in 1926. He belonged to a family which provided long service to Sydney Council: his father was Alderman from 1878 to 1882, his brother Arthur Joseph McElhone (1868-1946), was Alderman from 1899 to 1946 and Lord Mayor in 1935, and his nephew John Fitzroy McElhone (1900-70) was Alderman for Fitzroy Ward from 1946 to 1963. He was a keen golfer and a member of Blue Mountains Golf Club. William McElhone was a member of the Red Cross Society for sick and wounded soldiers. He was a founding member of the Australian Board of Cricket Control, a Trustee of the Sydney Cricket Ground, and President of the Cricket Association. William McElhone was created an M.B.E. in 1920. William McElhone was Alderman for Bligh Ward, 9 July 1908 to 30 November 1915 and for Lang Ward, 2 December 1918 to 31 December 1927. He was a member of the Works Committee, 1909-10 and in 1927, the Electric Lighting Committee, 1909-27, the Finance Committee, 1909-12 and 1919-21. 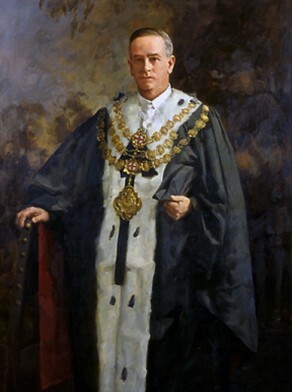 He was a member of the Health and By-Laws Committee, 1919-29 and served as Lord Mayor in 1922.